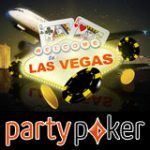 Viva Las Vegas, win a €5,000 prize package to Las Vegas in the latest Titan Poker WSOP promotion. There are four ways to win your seat to all the action in Sin City including: Depositors Freerolls, Super Satellites, Twister Poker the and the iPOPS leaderboard. Viva Las Vegas prize packages include: travel, accommodation, 2015 WSOP Monster Stack buy-in and a choice of activities to do in Las Vegas. 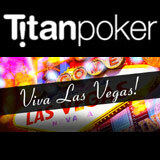 Titan Pokers generous Viva Las Vegas promotion will award sixty prize packages during the promotional dates. 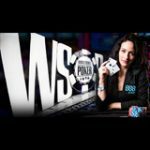 Winners will get a seat to the 2015 WSOP Monster Stack tournament and paid holiday in Las Vegas during the World Series of Poker. There are several ways to qualify for your WSOP prize package on Titan Poker. 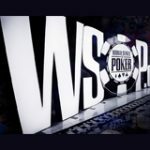 The WSOP Monster Stack took place for the first time in 2014 and instantly became one of the most popular tournaments with 7,863 players registered. There is no prize pool guarantee although based on the stats from last year the event generated a prize pool over $10 million. Every week in March players can make a minimum deposit for a seat to the Vegas Depositor Freerolls where there is one package guaranteed every Sunday. 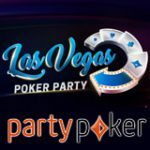 The top 394 places will also win tournament tokens to the Viva Las Vegas satellite tournaments ranging from €10 up to €200. Players can register for these freerolls in the lobby using a tournament token which are issued after a successful deposit. Players can buy-in directly to the super satellites every Sunday where there are at least three prize packages guaranteed. Play your way to the super satellite, qualify for the weekly tourney by playing the daily satellites which start from just €10. 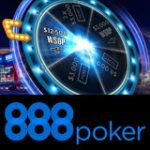 There is one special mega satellite tournament taking place on 31st May, there are nine guaranteed prize packages to be won. 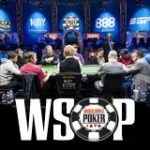 Prize package winners must be at least 21 years old, the legal age to play WSOP events at the Rio Casino.